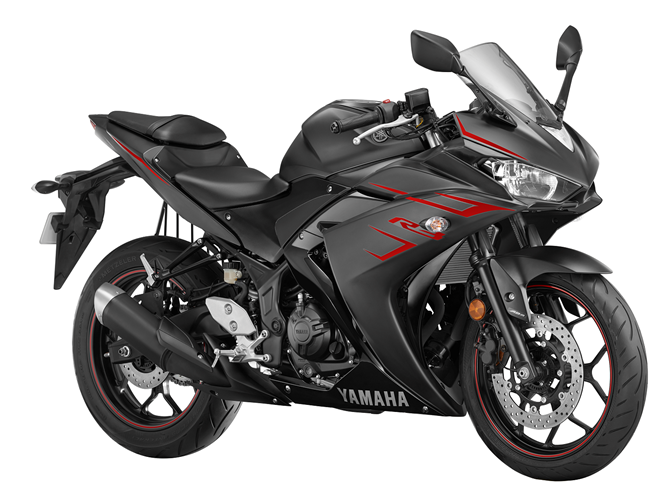 The Yamaha YZF-R3 Motorcycle made a re-entry in the Indian market in its new avatar after withdrawing it about a year ago for being non-compliant to BSIV emission norms. 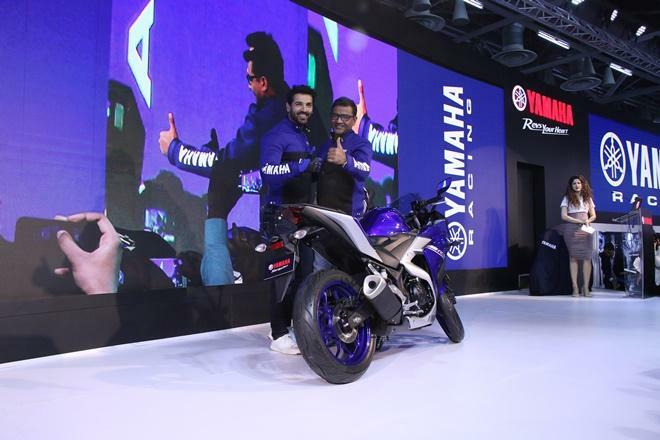 The fully faired bike has been now launched with BSIV compliant engine through the hands of famous celebrity and brand ambassador John Abraham at the 2018 Auto Expo. The other updates brought by Yamaha in the bike include refreshed graphics and dual channel ABS as standard. The new Yamaha YZF-R3 Motorcycle looks more aggressive. It is offered in two attractive color options- Racing Blue and Magma Black. 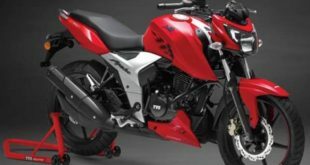 The bike is powered by the same earlier 321cc liquid cooled, DOHC inline twin cylinder, 8 valve engine but has been made BSIV compliant. 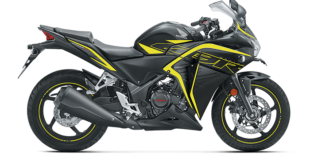 The engine delivers 41 Bhp power at 10,750 rpm and 29.6 Nm of peak torque at 9000 rpm. It is paired with 6-speed gearbox and the final drive being the chain. 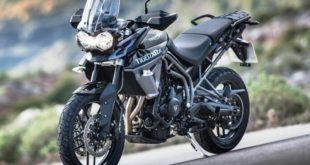 The dual channel ABS comes with the bike as standard offering. The new Yamaha YZF-R3 Motorcycle comes with new sticker Metzeler radial tyres. The rest of the features remain unchanged. The front suspension duty is performed by 41mm KYB telescopic fork and rear has KYB monoshock suspension. The braking duty is executed by 298mm hydraulic disc at the front wheel while the rear wheel has 220mm hydraulic disc. The front tyre is 110/70-17 and the rear one is 140/70-17. 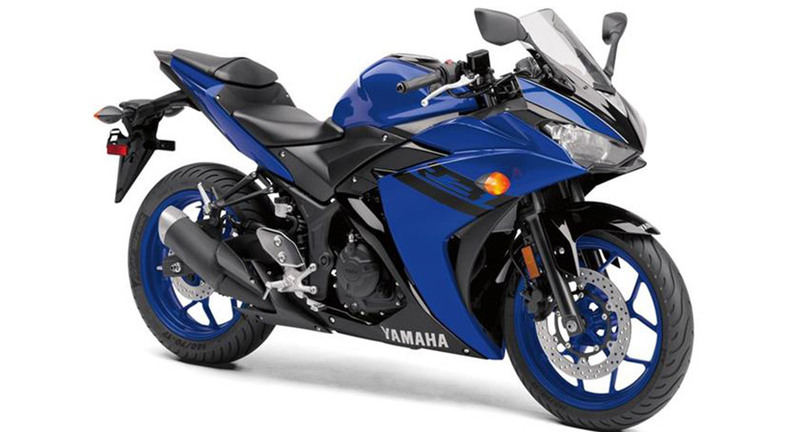 On the dimension front, the Yamaha YZF-R3 Motorcycle measures 82.3 in X 28.3 in X 44.7 in (L X W X H). The seat height is 30.7 in and fuel tank capacity is 3.7 gal. Yamaha YZF-R3 Motorcycle enjoys lots of customer support by bike lovers in India. 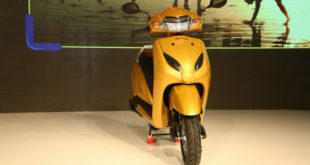 The Japanese company, Yamaha Motors manufactures the bike in Indonesia for the world market. 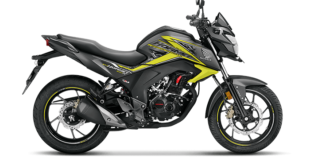 The new bike will be imported by Yamaha Motors India in CKD form and would be assembled in India to cater to the demands of the Indian market. 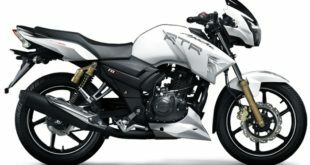 The price of the bike announced is Rs. 3.48 lakh (ex-showroom Delhi), which is around Rs. 20,000 higher than the earlier model. 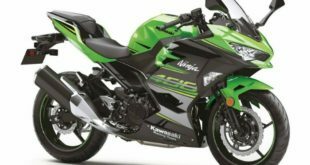 DSK Banelli BS 302R, Kawasaki Ninja 300 bikes are the nearest rival to Yamaha YZF-R3 Motorcycle. Are you looking for upgrades from the Yamaha stable? The new Yamaha YZF-R3 Motorcycle is certainly the bike which is expected to catch your imagination. Do not forget to visit the 2018 Auto Expo to get a first hand real touch and feel experience of the Yamaha YZF-R3 Motorcycle. Please write your views to us at India Autoz. We will make all efforts to keep you updated with all the news and views from the 2018 Auto Expo.